Evidence of the Tip-Over? Oh, YES! PLEASE! I read, several years ago, about the Great Tipover from the Young Soul worldview to the Mature method of dealing with the world and each other. And, I admit it, I looked forward to the changeover. Michael got my hopes up. Maybe more than was warranted – but there you are. I have to admit. What I see happening in the world today wasn’t what I had in mind when I was reading, back in the 1970’s, about the coming Change. But, every so often, something happens that brings me back to my idealist center – – that IS my Attitude, after all. And I begin to hope again. This is one of those times. 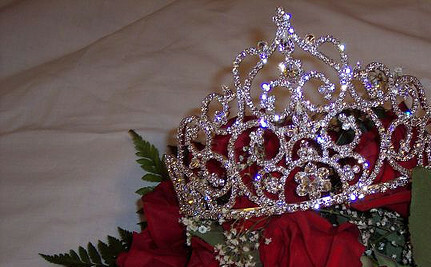 14-year-old Rachel Sampson has been voted homecoming pri ncess at her high school in Poway in southern California. Rachel has Asperger’s Syndrome. Her mother, Kathleen Sampson, says of her, “Rachel has a lot of friends, but she doesn’t socialize outside of school, that’s a little too difficult for her right now.” As a cruel prank, some students put Rachel’s name on the ballot for homecoming princess. But then, after other students learned about it, they rallied around Rachel. They voted for her — and she won. “The community of Poway and the students at Poway High School do not tolerate bullying, and they made that very clear with their voting,” Kathleen said. And if Rachel thought she had a lot of friends before, she’s certainly got a lot more now. “I’m just hoping that other kids who have been bullied are going to get a message from this and other kids who are bullies realize what they’re doing is wrong,” Rachel said. So, some Poway High School students attempted to intimidate and mock Rachel and their actions backfired. Their intended victim did not run and hide; in fact, a positive outcome resulted. And the kids who rallied around Rachel were born AFTER the date Michael and Seth set for the Great Awakening! How’s that for evidence? OK, yes, so were the ones who pulled the prank. But – just because we’ve tipped over doesn’t mean there are no Babies or Youngs left on the planet. Look around you! They’re still very present. And they’re acting out the very anxiety about the changes that Michael predicted. But, as Michael has pointed out and I noted here: as the Tip-over gets under way, younger souls are going to feel the pull to work toward maturing, themselves. This could be one of those times. The bullies don’t just have egg on their faces – – – maybe they’ll take a lesson from this and move forward. Now that IS reason for optimism!